• Attach and release quickly and easily with power change adapter 52121 . 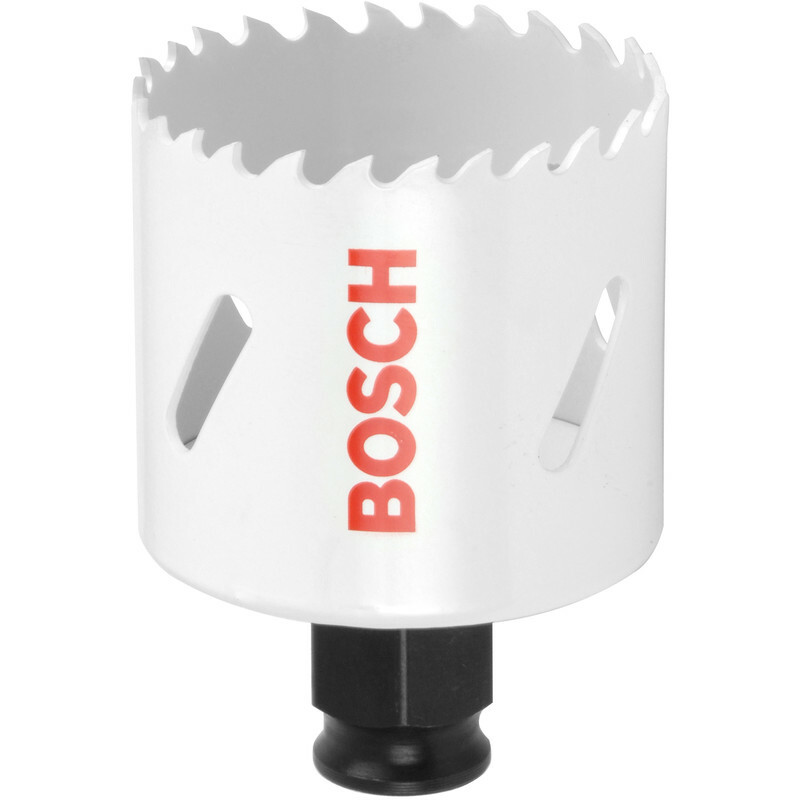 Bosch Progressor Holesaw 25mm is rated 5.0 out of 5 by 24. Rated 5 out of 5 by feelthestag from An excellent accurate holesaw. I bought this to help fit some downlights into a plasterboard ceiling. This holesaw makes it easy. It may seem obvious, but I'll mention it anyway. You should make sure that the job you drill has a solid centre, for the pilot drill bit in the arbor to bore. Otherwise it is really tricky to start the circle with the course hole saw teeth, but not impossible. I would recommend this. Rated 5 out of 5 by Gollum the Evil one from Cracking bit of kit I bought this to cut hole through 2mm steel, it flew through it in seconds. Cutter looked liked it hadn't even been used, so will probably last some while. Rated 5 out of 5 by Z514 from Good for metal and wood Good saw. Used on d.i.y project. Cut through wood and metal. Make sure you use cutting oil and go slowly if cutting metal. Use plenty of oil, otherwise will burn out teeth on saw. There are you tube videos with very good advice. Rated 5 out of 5 by droflet from Sturdy construction & very sharp Cuts 19mm ply board with ease. Rated 5 out of 5 by droflet from Sturdy construction & very sharp Cut through 19mm ply with ease.after 6 holes still feels very sharp.